The wonderful folks at Influenster.com sent me L'Oreal's Cleansing Balm free of charge for testing purposes. I was pretty excited because I really loved it when they sent me Clairol's Hair Food to test and to great results. This "Cleansing Balm" had a lot in common with the Clairol Hair Food initially. They're both described as deep conditioners that would add softness and moisture to the hair without weighing it down. They're both complete with instructions that encourage you to rub it into your scalp for the most benefit. Now, my hair is very fine and prone to dryness. I generally use pure coconut oil for my scalp and use the Clairol Hair Food for the ends of my hair because despite what it promised it weighed my hair down if used on the scalp. The L'Oreal Cleansing Balm promises to replace shampoo. It says it is safe enough to use every day as a moisturizing cleanser. That sounded like a pretty cool idea to me because I have been looking into ways to shampoo less and the "Poo Free" home remedies of baking soda, or shampoo bars, or just plain not washing have been disastrous for me. I used the Cleansing Balm only three days in a row before giving up on any hope of it replacing shampoo. My hair from the chin down was very shiny and soft, just as promised, but my scalp and my hair at the scalp was greasy and weighed down and just... gross. I couldn't even last a week trying it in replacement of shampoo. I had to do a vinegar rinse and then shampoo to get my hair looking decent. What a disappointment!! 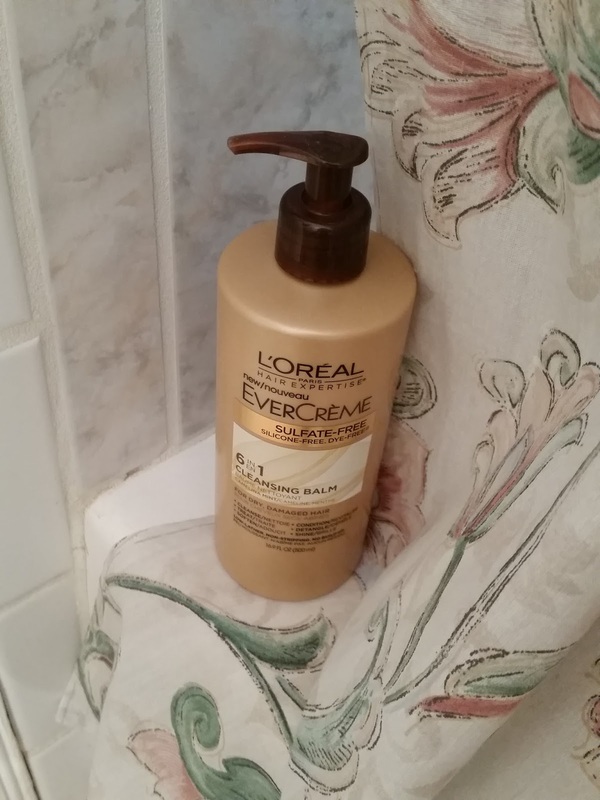 When I used it every few days as a deep conditioner for the ends of my hair, I was happy with the results. Just like the Clairol Hair Food it does make my hair shiny and soft and is basically a really good deep conditioner. I just couldn't use it to replace my shampoo. Overall I give it 3 of 5 stars. The 3 stars is because it does work really well as a deep conditioner and I really like it as such, I can't give it five though, because it could never replace my shampoo.